Prior to actually typing out a post, I construct the general layout and theme in my head. Normally I do this while on my 5am morning run or while I am actually eating the item. I had the layout and first paragraph done for this post already and then, Bam!, it changed. In the mornings, I do weights/jumping jacks and read the Food Blogs I follow – a total oxymoron. Well, while doing so today, I come to find out the item we are going to discuss, Ben & Jerry Key Lime Pie Ice Cream, has been around before! Yes, it may have that Limited Batch label but, it’s been a Limited Batch in the past. Ohh snap. So, rather than say how Limited items aren’t always great, I will simply begin with send that ice cream To the Graveyard. 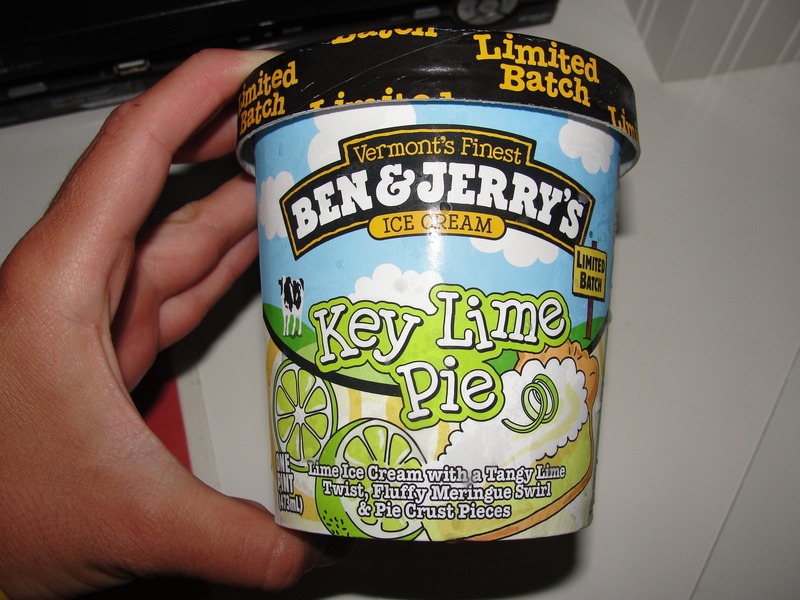 A few weeks back, I picked up this B&J Key Lime Pie Ice Cream when they were BOGO at Publix. I purchase B&J maybe once a year on the BOGO deal. Sure it’s a good offer but, I really don’t love B&J. The Key Lime Pie Ice Cream had ‘Limited Batch’ written all over it so, I said what the heck. Taylor loves Key Lime Pie and, though I’m not a big fan, Publix did have a Key Lime Pie Ice Cream in the past that I loved. In addition to being Limited Batch, the ice cream is said to have meringue swirls and graham cracker pieces. Since I purchased this at Publix during my 7am grocery trip, I waited until later in the afternoon to try it. After letting it thaw out for about 2 minutes, I dug my spoon right in. 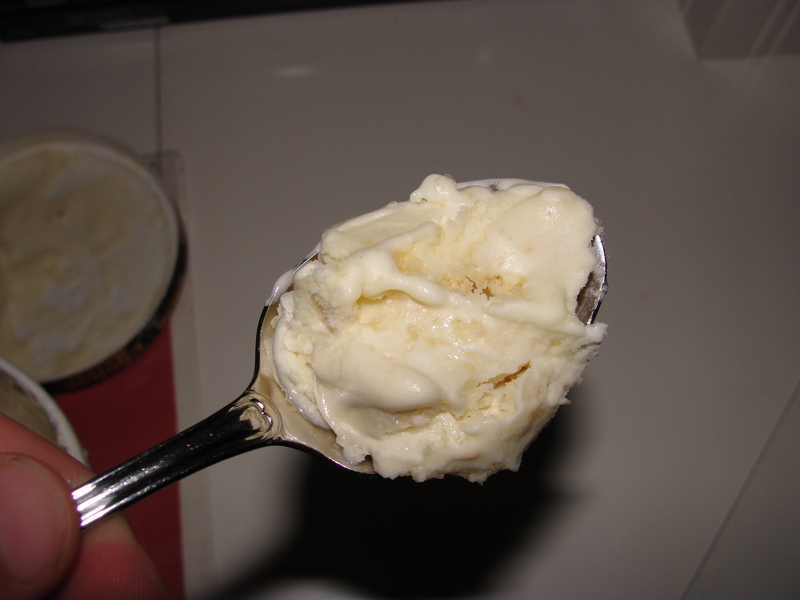 I placed my spoon right into the pint-sized container and came up with a good mixture of consistency but, the color was all pretty much the same – an off-white-cream-beige color throughout. I could see where the meringue swirls were however, the graham cracker pieces seemed to be missing. Rather than wait any longer, I placed the spoon in my mouth and let the ice cream melt. ‘Yuck’ was my first reaction. I should have stopped there but, I decided to try 1 more spoonful to be sure that I was tasting the right thing. Neither of my spoonfuls were any good. The first thing I noticed – the taste of the key lime within the ice cream, was so fake and over-exaggerated. It was like they were trying way too hard to make this key lime flavor. Rather than allow the key lime to be natural and delicious, this B&J ice cream displayed the key lime as artificial and overbearing. I realize key lime is a pretty strong flavor but, this was ridiculous. It really ruined the ice cream. While I didn’t care for the flavor of the meringue swirls, the consistency was spot on – even with my eyes closed, I knew exactly what I was eating. The meringue had that intense creaminess & lightness which it should always have. As for the missing graham cracker pieces, they were there…just in pulverized variety. Rather than having chunks of graham cracker, you received tiny-gritty pieces of the graham crackers. Besides the fact that the consistency was gross, these pieces added no flavor whatsoever. B&J Key Lime Ice Cream is neither delicious nor refreshing. I found the two bites I had to simply be gross and I would have no reason to ever purchase this again. Even Taylor – the Key Lime Pie lover – did not like this ice cream. We opted not to finish it…something that I almost never do. That’s why, I was so shocked to hear that this was a Limited Batch that was brought back!!! I can’t believe anyone likes this ice cream. Even with the artificial flavors, the consistency of this is just not good. For us, I’m glad this is Limited Batch and I will never be purchasing it again. If it was up to me, I would send this pint with its artificial tastes & gritty graham crackers, To the Graveyard.